Frogbox works with many top companies across North America. Our partners are movers, real estate agencies, property managers/developers, home organizing/ staging professionals, storage companies and more. If you would like more information on becoming a partner with Frogbox, email us at: service@frogbox.com and tell us about your company. MOVE IN & MOVE OUT CLEANS AVAILABLE! We are a fully bonded and insured local concierge company, specializing in green cleaning, professional organizing and errand services. We clean holistically and responsibly. We supply all cleaning equipment and clean your home with natural products. Join us in our crusade: saving the planet, its people & pets one home at time. The Art of Moving Trusting other people to carefully handle all of your worldly possessions, memories or your company’s property is a big decision. At Premiere Van Lines, The Art of Moving is about earning your trust by delivering a higher level of service and the reassurance that your property is safe and sound with us. With over 1000 employees in 16 key markets across the country, Premiere Van lines is one of Canada’s most diversified and experienced moving companies. 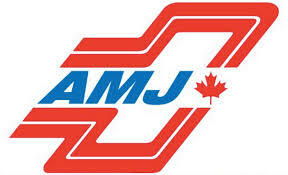 As Canada’s largest moving company, AMJ proudly provides an array of services that exceed customer expectations year after year. We offer residential (local and long-distance), international, and office moves as well as storage, confidential shredding and special products relocation-services. With AMJ Campbell, there are no hassles, no excuses and no stress. Make your best move today! INSTILE design build ensures you receive all the benefits of single source responsibility by being a Design Build company. Clients realize a cost and time savings by not involving third parties. They are comforted in knowing that they are meeting, designing and discussing their plans with the owner of INSTILE design build. IMAGINE, INSPIRE, INSTILE! We help you sell your home faster and/or for more money. Choose a plan that meets both your budget and time frame. The small investment in home staging your property to regain lost equity can turn in to thousands of dollars on your next offer. Capital Home Staging & Design is passionate about the real estate and design industry. We strive to create beautiful spaces for everyone, whether it’s for living in and enjoying, or selling and making the most money off of your home. We have our own list of inventory and accessories that is available to our clients so we can keep everything affordable while creating these spaces that you want. Rideau Valley Conservation Foundation is a major local conservation group protecting wetlands, aquatic habitat and river health in the watershed of the Rideau River in Eastern Ontario. The Foundation works in 18 municipalities bordering on the river including the Rideau Lakes area right up and into the City of Ottawa.